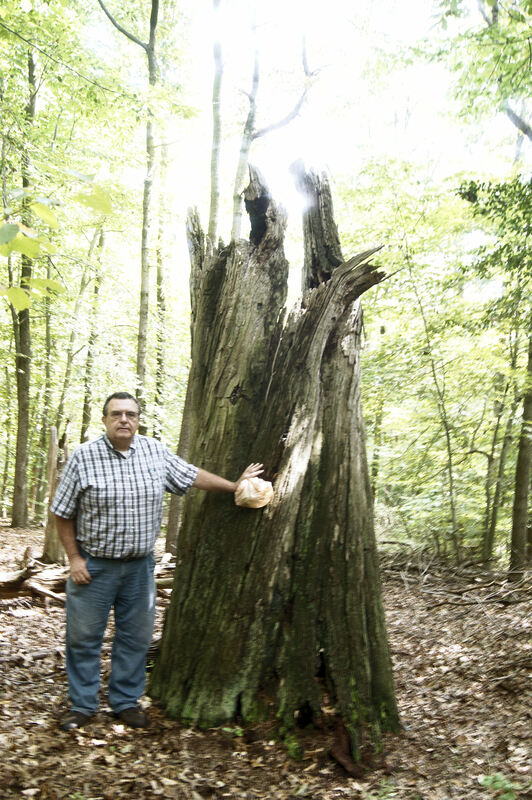 Bill standing next to an old stump presumed to be an American Chestnut. Today, due to the kind help of Dennis Green, one of the longtime volunteers at the North Tract, I was able to document the first evidence of an American Chestnut (Castanea dentata) for the project. After a ride up a road near the old ASP (Ammunition Supply Point) Area 2, a road with deep gullies in places and fit only for four-wheel-drive vehicles, we arrived at a small cemetery. The cemetery has several gravestones without engraving. 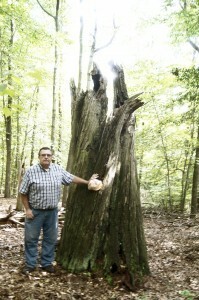 At the far end of the cemetery Dennis showed me a large stump. It was about 12 feet high and we measured the circumference at the four-foot level to be 153-1/2 inches. 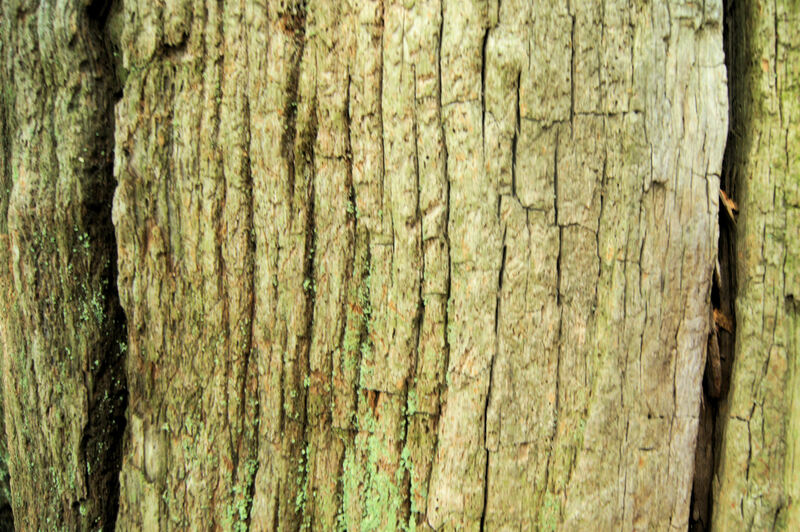 I am still trying to figure out a way to confirm the identification as American Chestnut, but I have no reason to doubt that it is. 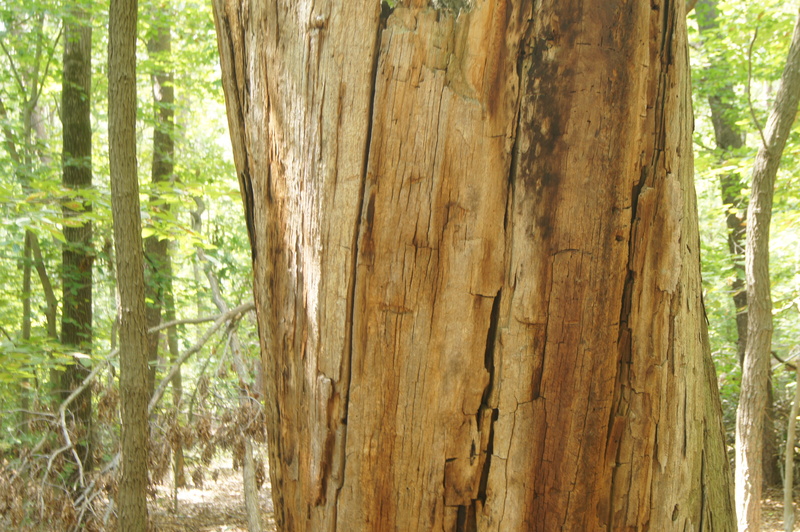 We collected a specimen for later examination, and I would like to show this tree to an aborist for their opinion. 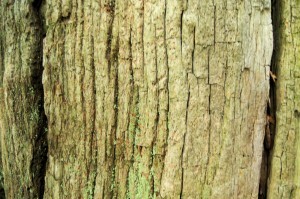 A further investigation of the cemetery revealed a couple of stumps at ground level which could also be American Chestnuts. This entry was posted in Journal, Plant Profile. Bookmark the permalink. 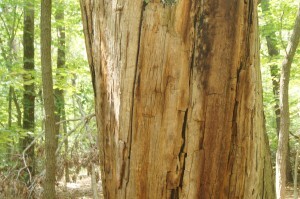 Gary Carver of the American Chestnut Society confirmed that this was indeed an American Chestnut.